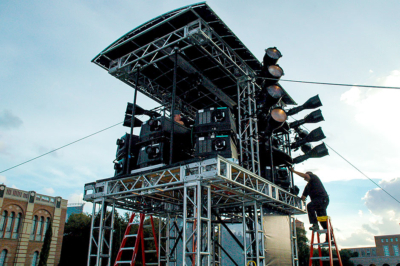 The award-winning sound team at LD Systems has extensive experience designing sound solutions in large stadiums, at multi-stage festivals to small breakout rooms. We have the experience, resources and skill to help you achieve the highest quality sound design for your event production. 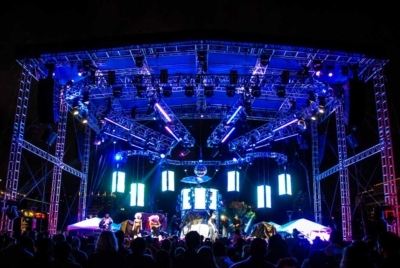 The LD Systems Production Team services big stage concerts, supports artists and dazzles event producers with customized lighting plans that utilize the latest technology to help you create the perfect atmosphere for your event. 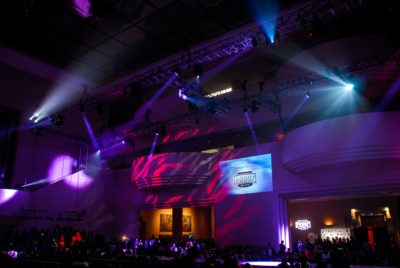 Lighting design for large galas, premieres, award shows, major corporate events and parties are always on our schedule too. Lighting design specific ESP Vision software is utilized to assist with displaying and testing lighting plans in a virtual world. 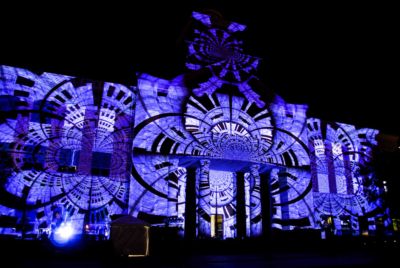 This software allows our lighting designers to prove concepts and enables the capability for advance show programming. 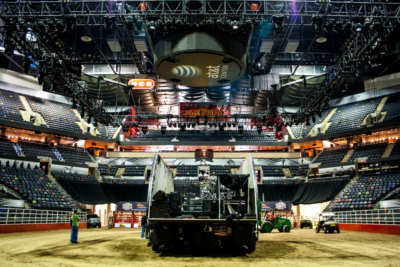 At LD Systems we recognize how critical safety, rigging expertise and reliable AV equipment deployment are to successful events. With over 40 years experience in systems installation, rigging, power management and fail-safe solutions, we approach every project with the forethought to guarantee satisfaction. At LD Systems our team has a proven engineering process that builds safe and successful structures, towers and trussing. Rigging professional sound, lighting and video equipment requires a unique knowledge of structural engineering. 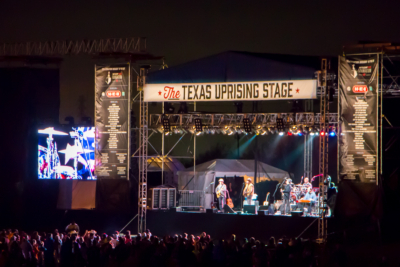 Our safety record is one of the many reasons today’s biggest names in the entertainment industry turn to us for event production structures. 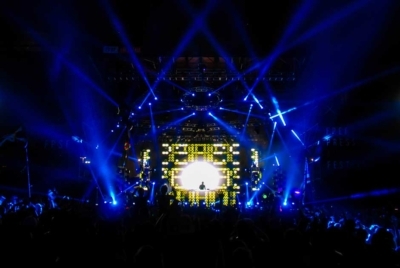 Power distribution, and power management as well as detailed knowledge of the electrical requirements of sound light and video equipment are required for every successful event. Electrical Engineering is a crucial component of any live event production and one of the many skilled services we proudly offer. 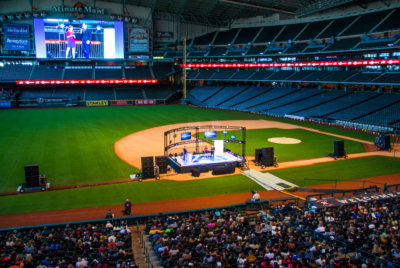 When your event production calls for unique audio or video content, LD Systems production team can create custom audio and video content to bring your event to life. Our team is well versed in all types of events and productions, and can provide experts advice and analysis of your venue, building or public space. 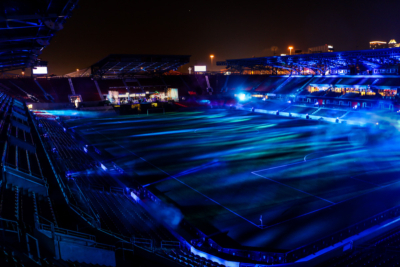 Our site coordination services include acoustic analysis and planning, soundscaping, RF frequency coordination, power planning and specifications, video projection planning, rigging planning and specification and more. 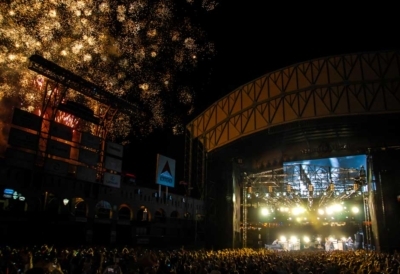 We often work with city planners on your behalf to acquire necessary permits and manage event coordination efforts. 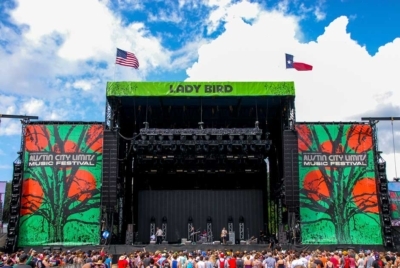 LD Systems began providing professional sound and lighting support at a time when event production technology and materials had to be created. Those roots resonate with us today. Nothing is impossible for LD and we will gladly discuss creating unique or complicated materials to compliment and drive awesome production. As Event Production Services consultants with a passion for great sound, light and video we know what it takes to make create “Wow” moments. LD Systems consultants apply creativity, practicality and industry expertise to design the right systems to help you achieve your goals. 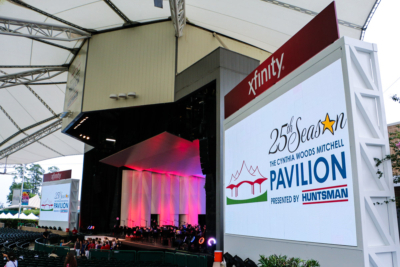 LD Systems can provide additional signage elements that help audiences see the information they need. Design and printing of on-site directional signage, large format banners and other print display components are no problem for our production services team. 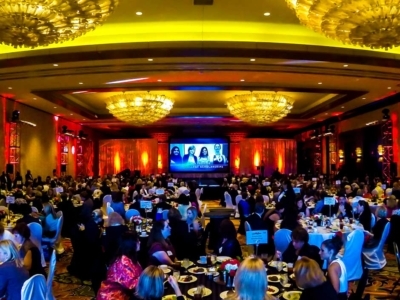 From corporate presentations in intimate settings to 3D projection mapping massive multi-site productions, we have the resources to ensure the success of your video presentation. We can present, project, broadcast, manage and distribute video in a multitude of formats for any production. 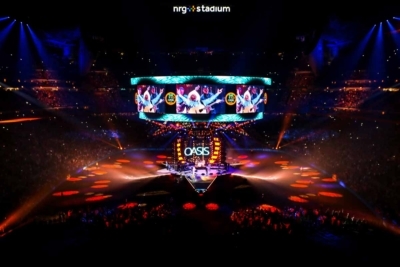 LD Systems utilizes Vectorworks Spotlight to create stunning high resolution photo realistic digital imagery. We start with conceptual production sketches and end with beautiful conceptual designs. 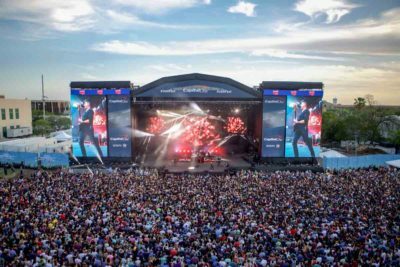 The talented artists at LD Systems can provide a range of drawing services to better support your event production needs.